I’m a sucker for a good surprise, so I couldn’t resist Megan‘s invitation to participate in the surprise announcement of her latest project. I whipped up some cupcakes based on Heidi‘s recipe for plum buttermilk cake in her latest cookbook, Super Natural Every Day. 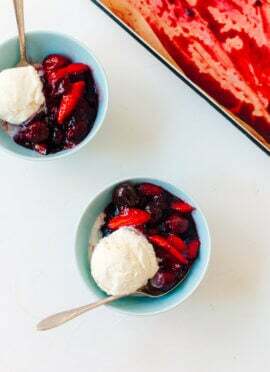 Instead of using plums, I mixed in (surprise!) 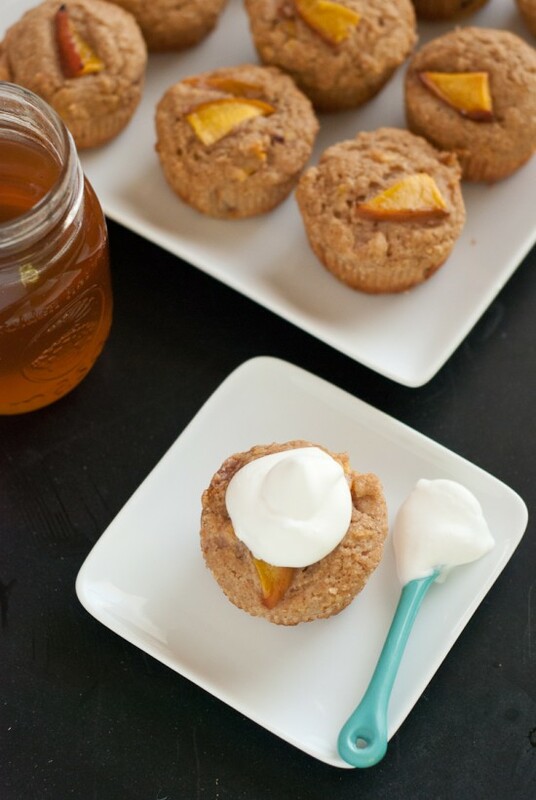 nectarines, and topped each with honey-sweetened whipped cream. 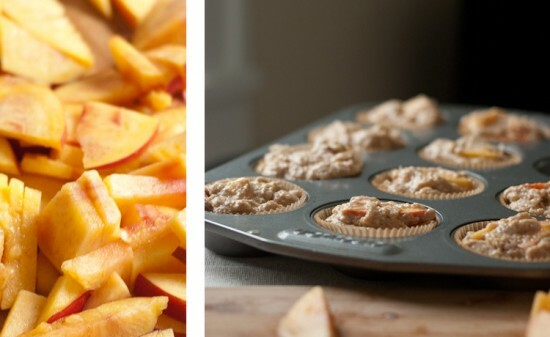 You can also find my recipe for nectarine cupcakes on The Fresh Exchange, as well as Happyolks‘ must-try recipe for maple cardamom macaroons, plus fantastic contributions from design, style, DIY and music bloggers. Don’t miss the other half of the contributions at The Pink and Blue Blog, which includes a killer outfit post by one of my favorites, Caroline of Greedy Girl. Bloggers, you definitely won’t want to miss Megan and Katie’s surprise, which is absolutely celebration worthy. I can’t wait to participate and hope you all will join me. Hop on over to The Fresh Exchange or The Pink and Blue Blog to learn more! 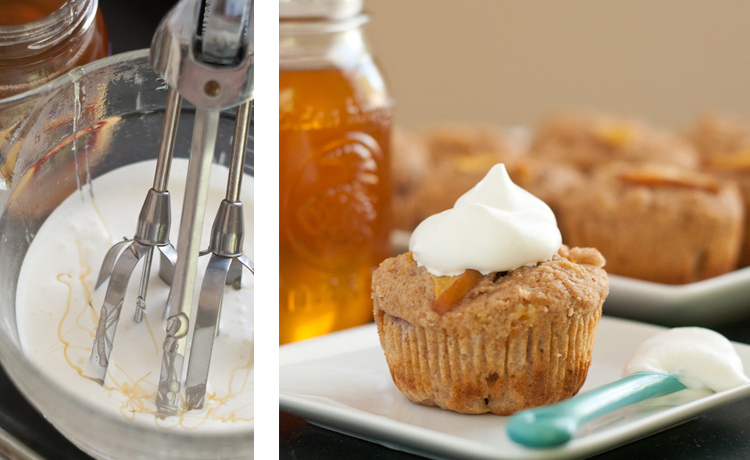 Although these cupcakes are made with whole wheat flour and significantly less butter and sugar than most, they make delicious, celebration-worthy late summer treats. 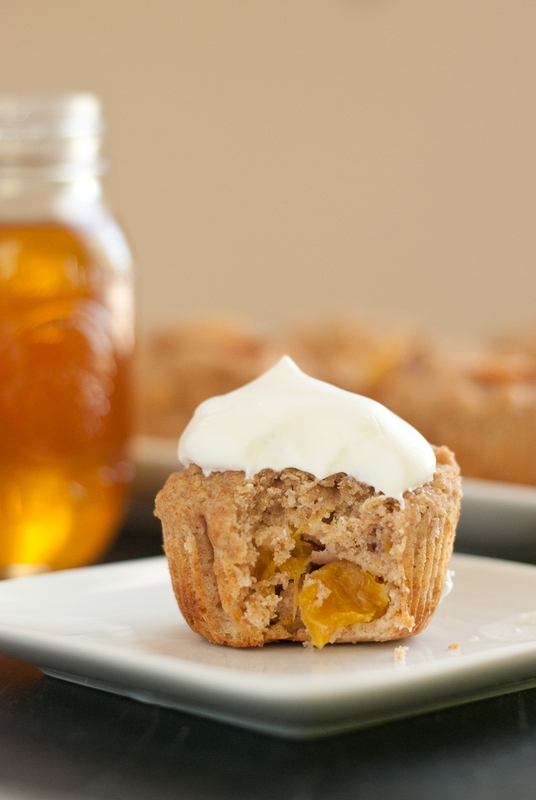 Top each cupcake with a dollop of homemade, honey-sweetened whipped cream and enjoy! Pour the liquid ingredients into the dry mixture and stir just until it’s mostly combined. 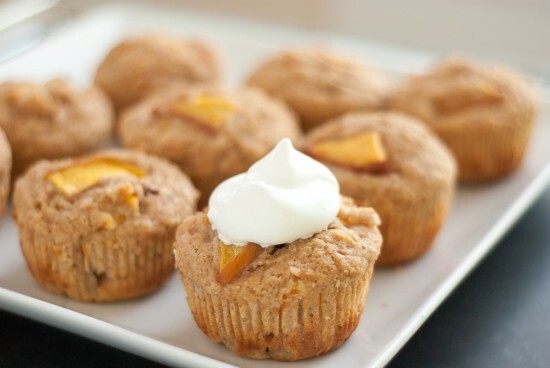 Stir in your sliced nectarines, saving about 18 slices to place on top of the cupcakes before baking. Spoon your cupcakes into the prepared muffin tin. 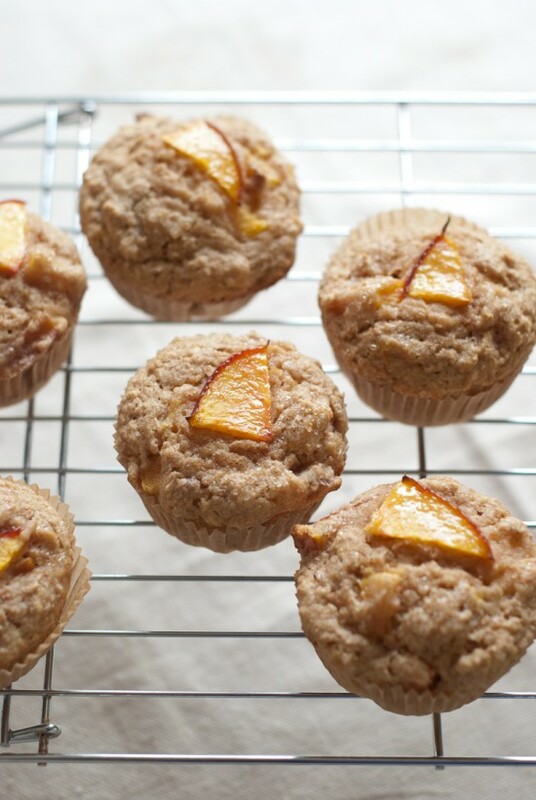 Top each one with a slice of nectarine and a light sprinkle of raw sugar. Bake for 16 to 20 minutes, just until a toothpick inserted in the center comes out clean. Yields approximately 18 cupcakes. 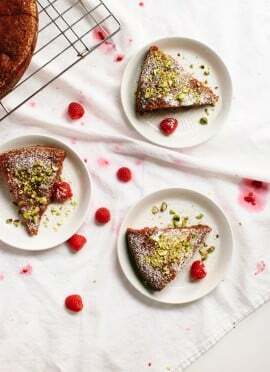 Adapted from Heidi‘s recipe for plum buttermilk cake in her latest cookbook, Super Natural Every Day by Heidi Swanson. Peaches would work just as well in place of nectarines. Instructions: Place a mixing bowl in the freezer for about ten minutes. Once it is chilled, pour in the milk and honey. Using an electric mixer, eggbeater or a whisk, whisk the milk until it has doubled in volume and holds its peaks. Super cute cupcakes! And congrats on being a part of the surprise. I smiled when I saw your name in the post! Thanks, Melissa! I got pretty excited when I got Megan’s email—I just love surprises! Sorry for the delayed response, Annabel! Yes, I think these cupcakes would be great with peaches, cherries, plums, berries… any ripe summer fruit! 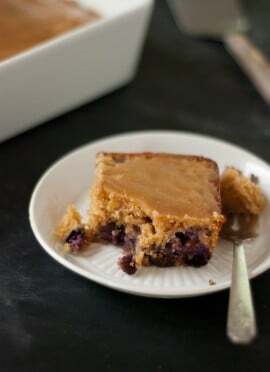 I was wondering how important pastry flour is vs. regular flour in this recipe. I just made these and they taste delicious, but are more like muffins than cake, if that makes sense. I’ve actually never baked with pastry flour before! Hi Lisa, whole wheat pastry flour is milled more finely and has less protein than whole wheat flour, so it produces fluffier, lighter baked goods. I remember these cupcakes being a little on the muffin-y side, though, so it might just be the nature of the recipe!